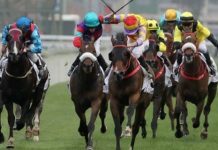 The popularity of multi’s has exploded in recent years and the bookies are focusing a lot of their advertising on pushing punters towards this bet type. A key reason for that is the bookies advantage is so strong on multi’s and to explain why we have maths whiz and former actuary Nick Aubrey on the podcast this week. David Duffield: Hi Nick. We’ve had you on the podcast a couple of times and you’ve contributed to the website, but for the new listeners to the show can you give us a bit of a rundown on your background? Nick Aubrey: Yes, as a few people will be aware I’m an actuary by trade, an actuary is like the bookmakers of life insurance and super funds. We love to deal with odds. My byline is Anomaly Nick and I like to explore all those possibilities were there’s a bit of an edge to be made. I’ve actually just recently launched a website called puntforprofit.com and it’s a not-for-loss organisation. Wherever there’s a possibility of money to be made by the punt, then I like to be there. David Duffield: I wanted to get you on today to talk about multi’s because punters love them. Their market share is growing all the time. I think a lot of the reasons for that is, that they are looking for a big collect and an interest across multiple games or multiple races. The downside is the odds are probably not in your favour. Can you just explain, hopefully in layman’s terms, the bookies margin on these bets? 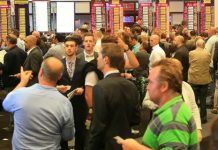 Nick Aubrey: The main reason behind bookies offering multi’s is to try and lock you in to the odds, through them at the earliest possible stage. I liken it to each multi leg is like a cherry. The trouble with the multi’s is that the bookies take a bite of the cherry, each of the legs. Whereas if you were to look at all of those cherries that you cook up in a pot, make a cherry pie, an example of that would be perhaps, if you’re betting at the line on the NRL, you can certainly get square with most bookmakers or get set with most bookies on a Wednesday at the line $1.90 each of two. Each time they’re taking the 5% margin in each of those 8 legs. Whereas if you were to take an equivalent one, for instance, through the Footytab, Pick the Margins, then what Footytab are doing is taking out one bite of the cherry pie, and that’s it. Whereas the bookmakers love to be able to take out that 5% on each of the legs. If you do the maths for instance, just calculated the odds for an eight leg multi, where you’re just taking the bet at the line. 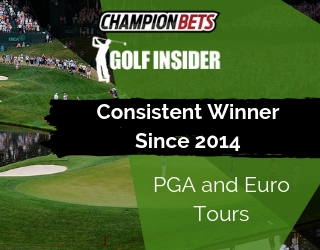 If the bookies were very generous and they decided to give you $2.00 for about each of the bets, then the all up bet would be worth $256 for each dollar you invested. 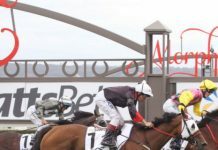 However, by taking $1.90 and the bookie taking a bite of that cherry for each of the eight bets, your all up bet would only be worth $170. That’s a big difference between 256 and 170. On one single bet it represents only 5%, so a $1.90 is a 5% margin but across eight legs all up, the margin instead of being 5% is a pretty big 33%. That’s the main detriment in regard to the multi’s. The more legs you have in the multi, the worse that detriment becomes. David Duffield: So I think people are fairly familiar with the concept of compound interest. When it come to multi’s it’s basically compound bookies margin? Nick Aubrey: That’s right. A compound discount, yes there’s interest and there’s discount, so it’s in the bookies favour, it’s not in your favour. The other mistake that a lot of punters make when betting multi’s is that, you can’t take multi’s through a number of bookmakers, you’ve got to stick to the one bookmaker. It’s not always the fact that a bookmaker is going to give you the best odds about every one of your legs. If you were to shop around, you would bet for each of those legs where the odds were the best. Often by having a multi, but you organising it, by basically waiting for that first leg to be won before you put the all up bet on the next leg. Although it is rather a frustrating thing to do so many people just throw in a multi and see how it goes. If you’re really after the value for money, then you really are shooting yourself in the foot a lot of the time, by betting on those multi’s. However there are some circumstances where a multi can be of advantage. Of course, if you see that the bookmaker has got one of your teams or one of the horses that you’re interested in, it seems to be better odds and it might be a week ahead or something, the race or the game is being conducted, if you take it now and put it in a multi, you can get much better odds than if you wait to just before the game. I’m reminded there of an interesting case, where a trainer had two horses that he thought he’d have a chance in a major race, I think it was from memory, the Melbourne Cup, but I might be wrong. He let it be known that his A horse was definitely the horse that had the best chance, so all the touts got up and they backed it into being a short price favourite. But the day of the race he scratched his A horse and let his B horse run. He had backed his B horse with a lot of bookmakers and of course, his B horse saluted. If there are circumstances where you can see that there’s a bit of an anomaly, that there’s horses or teams that the odds being shown are better than they should, by taking a multi you can lock that in. Where in fact, if you wait until close to the time, you might not get those odds. Another example of that is, often when they’re betting on feature doubles some bookies will say, right, if you want to back say, Think Big to win both the Melbourne Cup and Caulfield Cup then you get reduced odds on the second leg. Sometimes other bookmakers don’t put that restriction on you. The idea is to shop around and always go where the best odds are available even on the multi’s. David Duffield: So the actual take out in isolation can be misleading because if you see 5% margin to each of two in some of these sports bets, that sounds okay. You can be better off with some of those other ones like, where it’s more of an all in pool like the Pick your Margin. If that’s a 25% take out, if you’re doing all 8 legs, you’re better off with the 25% take out than the 5% on each game. Nick Aubrey: Absolutely. 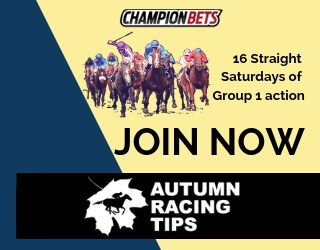 If you look at any of the quaddies or big 6’s every Saturday if you do a comparison between the all up price based on on tote odds or SP odds, best bookie odds, compare that to the actual payout. Nine times out of ten, probably 99 times out of a 100, the tote dividend on that is always better than the all up. That’s because of this deleterious effect of them taking a bite out of each of the legs. David Duffield: Yeah, we’ll link to the podcast we did on quaddies so if people want more information on that. I suppose the quaddie is the four-legged multi, what would encourage you or make you want to get involved in multi’s? I see some bookmakers offer, if you’re doing a five league multi and you get four up, it’s money back. How much of a promotion or incentive like that would there need to be for you to be interested, considering your only looking at positive EV bets? Nick Aubrey: I guess you’ve just got to do the maths. If they’re offering you, if you get three of your four legs, and if your last one, does it have to run second or can it just lose, you get your money back anyway? David Duffield: I’ve seen that promoted, yes. I haven’t done it myself but it’s five-legged multi, get four home and then you get your money back if the last one fails. 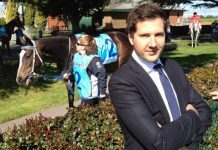 Nick Aubrey: Again, look at what the odds of your last leg failing, you add that as an increment based on your first four legs. Maybe if you’re betting the shorter prices favourites in the first four legs, then it could sway the odds in your favour. 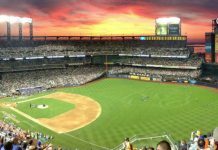 The odds have got to be fairly short, basically for that to be of significant benefit because if you look at what the odds would be of getting your first four up. Let’s say the odds were 200/1, then that’s only an improvement of about half of 1%. It needs to be quite a significant bonus before it sways the odds in your favour. Bookies aren’t around to line your pockets, they want to line theirs. I’ve yet to see one where it’s enough to swing the odds in your favour. David Duffield: So just related to that are those cash out options? You mentioned just before I clicked record that there’s a retrospective and a prospective evaluation or criteria that goes in to accessing what price you get, if you want to cash out early. Do you want to explain that to everyone listening? Nick Aubrey: Yes. The records give a valuation, basically they look at what your successful bets are until that point. Let’s say you’ve had an eight leg multi and you’ve got seven of your legs in, then what they do is, they work out what would have been paid had your first seven legs won. Then they take an exit fee of say, 10% and pay you out that dividend. The other way they look at it is to look at your original final pay out and then discount that total pay out by using the estimated market odds of your last leg. It sounds pretty good on some of the ads they have on TV now, it looks as if everybody’s ejecting before the last leg. They say we don’t take this lightly but I think you can’t take it lightly at all because the bookies, they’ll do it in two bases. They’ll say, right, well, let’s say for instance, you had an all up on the Pick the Margins and coming in to the last leg, let’s say, it’s tonight, I think Souths are playing St George in the last leg and you got $1.90 at the line for Souths but now they’re a $1.60 then you’d be mad to take the cash out because that will effectively give you back the odds that Souths are now and not what they were when you had the bet. My advice to any serious punter, by all means get a quote from your bookie in regards to what the pay-out will be. But open up a Betfair account. Betfair allows you to lay the odds rather than to back the odds. In that way you can do a quick calculation and say, right, well my bookie is going to give me x dollars of my original y dollars if I cash out now. That’s the difference between what I expect to do and what they’re going to pay me, would I be better off in laying that last leg with that money, so no matter what the outcome, compare the two outcomes and whatever gives you a better financial return, then go with it. Don’t glibly accept what the bookie is offering for a cash out because they’re in there to make the money. It’s the old buyer beware. Make sure you know the terms of that cash out option. David Duffield: For sure. One of our very earliest podcast guests, he’s a professional punter and calls himself in social circles ‘an applied mathematician’ his quote was, use math or die. It sounds like most the same applies for multi’s betting. You’ve got to understand the maths behind it if you’ve got any chance of winning. Nick Aubrey: Yes, for sure. A lot of people think that punting is about backing winners. Well, it’s not actually, it’s about getting the best price of those winners. The winner will come when they’re good and ready but you’ve got to make sure that when they do come, you’re on for the best possible price. With the margins against you, if you’re taking bad odds about your bets, then in the long term, as sure ask night follows day then unfortunately you’ll lose. It’s all about getting the best odds and often multi’s do not represent very good odds. David Duffield: Most definitely. All right Nick, thanks for coming on the show again. I’m sure we’ll have you on later on in the year. Nick Aubrey: Okay. Thanks Dave.